Everything you need to start SUPing. Incredible quality at an unbeatable price. 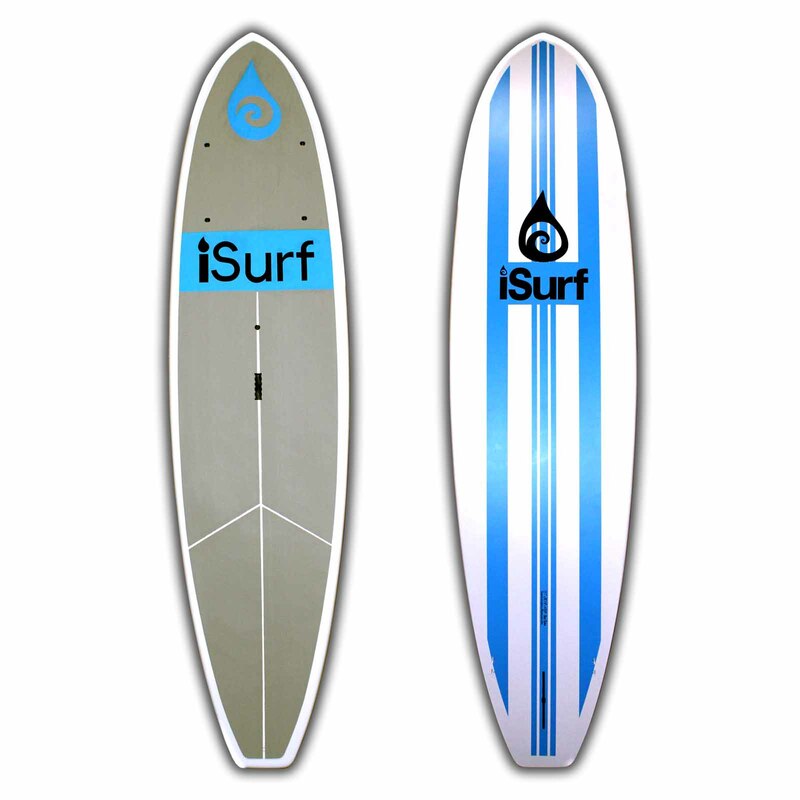 We are very excited to release our first inflatable SUP board model, the iYogi. 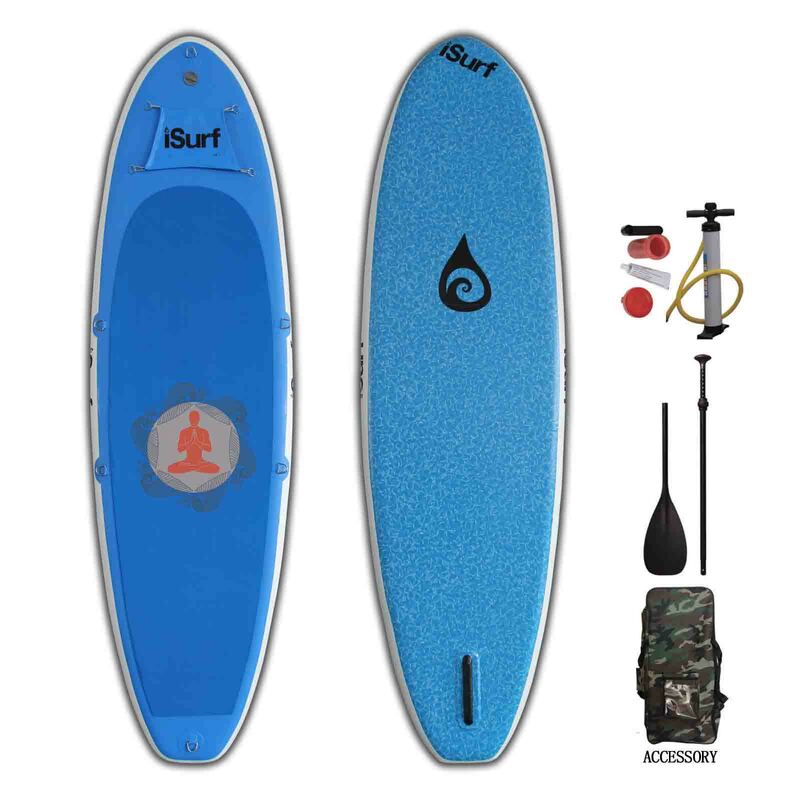 This board is easily transported in the included carrying back, inflated in minutes using the included pump, and a blast to paddle with the included plastic/aluminum paddle. It also features a waterproof pouch on the nose and tie-downs so you can bring along everything you need for a day on the lake or SUP yoga session. 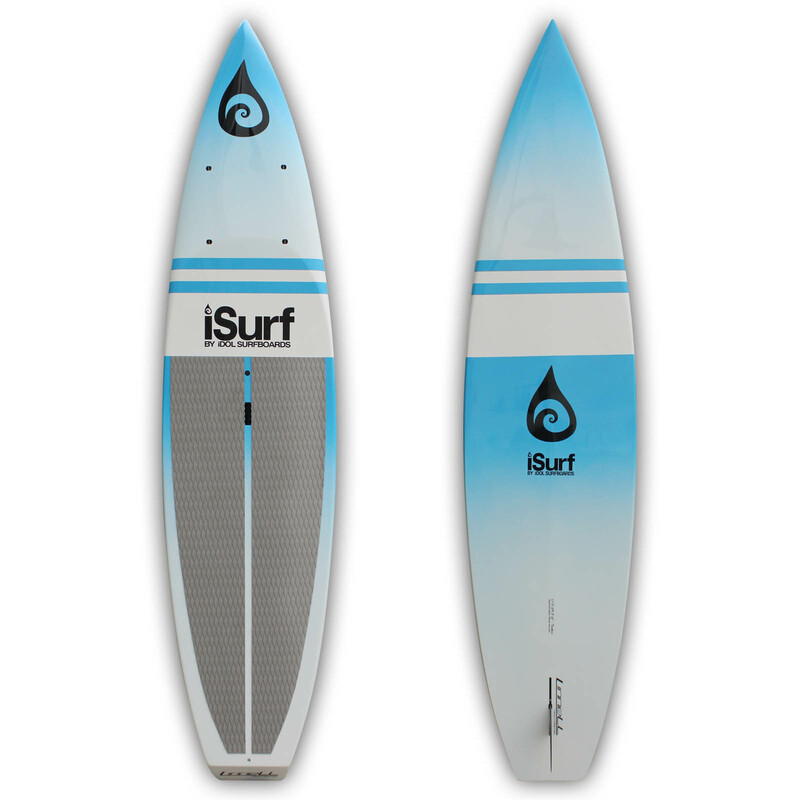 At 34 inches wide and 6 inches thick, this inflatable paddleboard is incredibly stable. 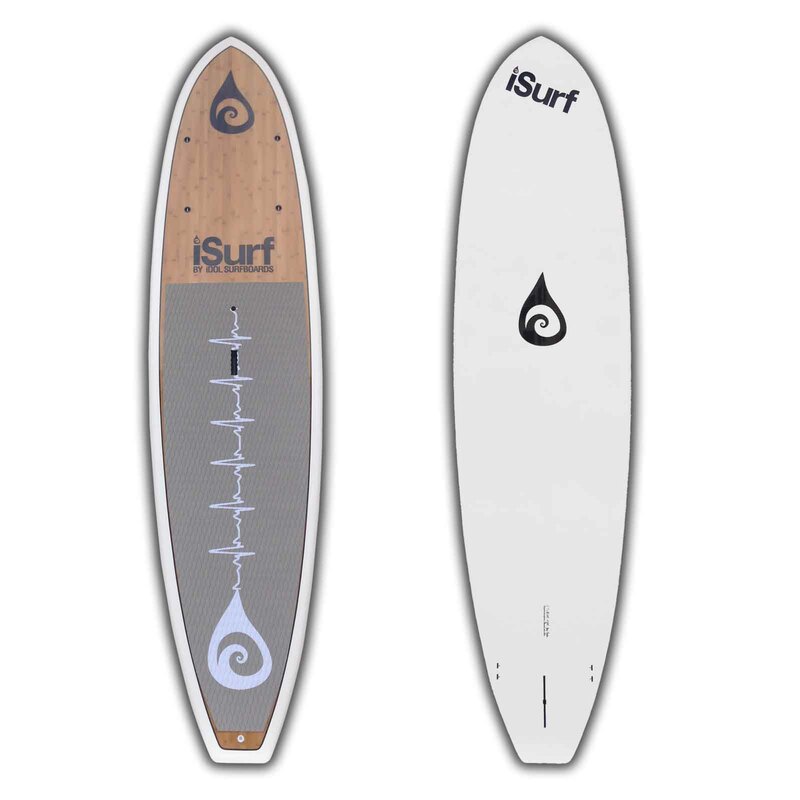 The board is made using the highest quality materials and craftsmanship. The iYogi is a quality board, backed by an impressive warranty program, all at a very affordable price. 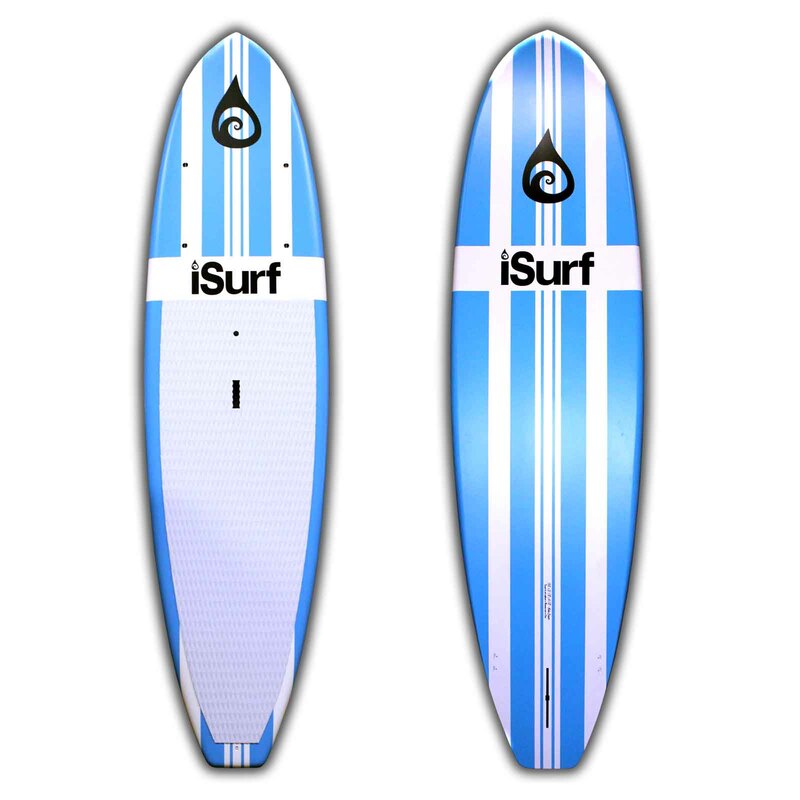 The iYogi inflatable paddle board is backed by a limited 5 year warranty on the fabric, 3 year warranty on the seams, and 1 year warranty on accessories. Pump, paddle, fin, carry-bag, repair kit.